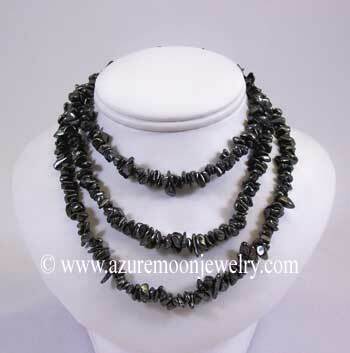 Drape yourself with the power of healing gemstones from the earth with this 36 inch long, endless single strand necklace of genuine Hematite chips. Hematite is the official state mineral of Alabama. 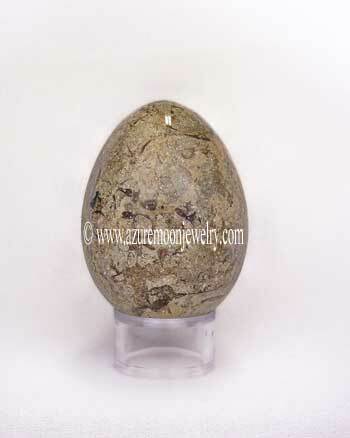 Hematite is a first (base/root) chakra gemstone. Metaphysical Properties: Hematite is known as the "stone for the mind". It helps one to sort things out, assists in mathematical pursuits and the development of both mental and manual dexterity. It has been said to attract "kind" love and help one enter a loving relationship. Click here to learn more about the lore and metaphysical properties of Hematite and other popular gemstones.